One of the dreams of a woodturner is to make a bowl and see it used. 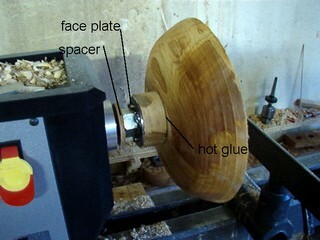 While some say there are three stages to turning a bowl, for me there are four. Number one is getting the wood supply. Most of the time this is green wood because wood thick enough to make a bowl is too expensive to dry. If you go to the wood store it can be expensive in a hurry. While that may be okay for the occasional special piece, I like to start with green wood at the firewood pile. Green wood is a term used for wood that has been recently cut and is not yet dried or "cured" and thus green. 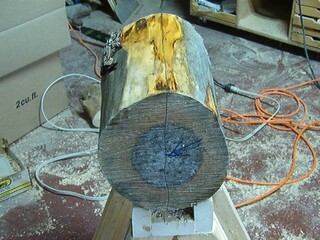 Firewood comes in log form and must be prepared as a green bowl blank for the lathe. 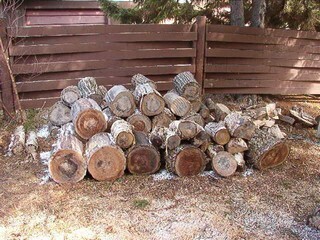 This usually requires a chain saw or a really large bandsaw or a bow saw along with a lot of time and energy. 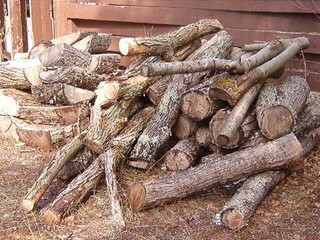 On the other hand, companies have not invested time, space and energy into getting the wood precut and dried, thus it is cheaper than a commercial, dried, thick piece of wood. 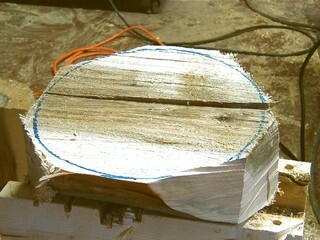 From this you end up with a bowl blank which may be either a half round piece of log or have the corners cut off to an octagon or be cut into a circle, depending upon turner preference. 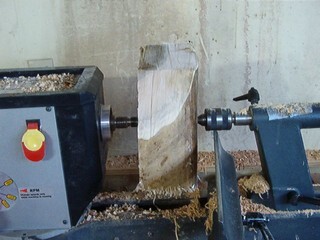 Finally this gets mounted on the wood lathe for rough turning to a bowl blank ready for drying. Drying as the log section leads to waste wood as it cracks. 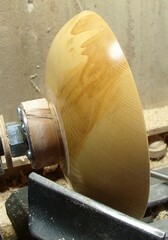 Drying as a partially turned blank leads to a blank ready for finish turning. Once dried, the blank gets remounted, final turned, sanded and finished.